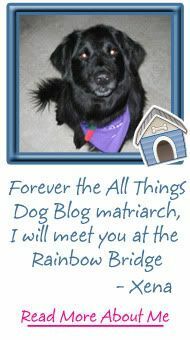 All Things Dog Blog All Things Dog Blog: Why Join in the Super Dog Sunday Blog Hop? 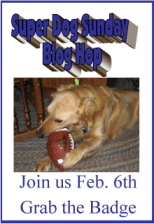 Why Join in the Super Dog Sunday Blog Hop? Maybe you simply aren't into the Super Bowl Sunday game and need something else fun to do. Get into the conversation by leaving comments and talking it up on Facebook, just for the fun of it all. Hop from one blog to another, checking out their cute dogs with footballs, jerseys, and team spirit. 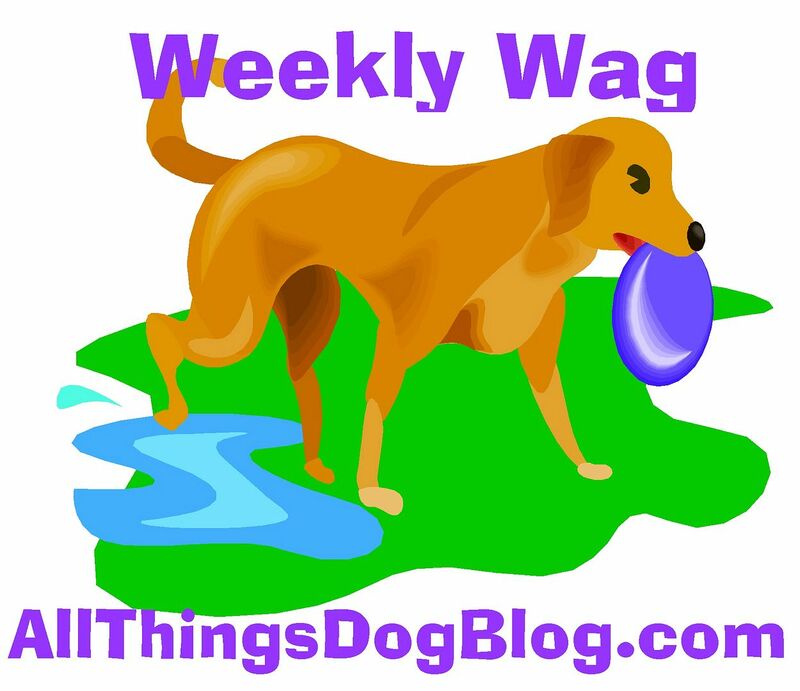 If you have a blog, you can submit your own dog picture(s) for inclusion and get links to your blog from all the other blogs that participate. No blog? It's okay. 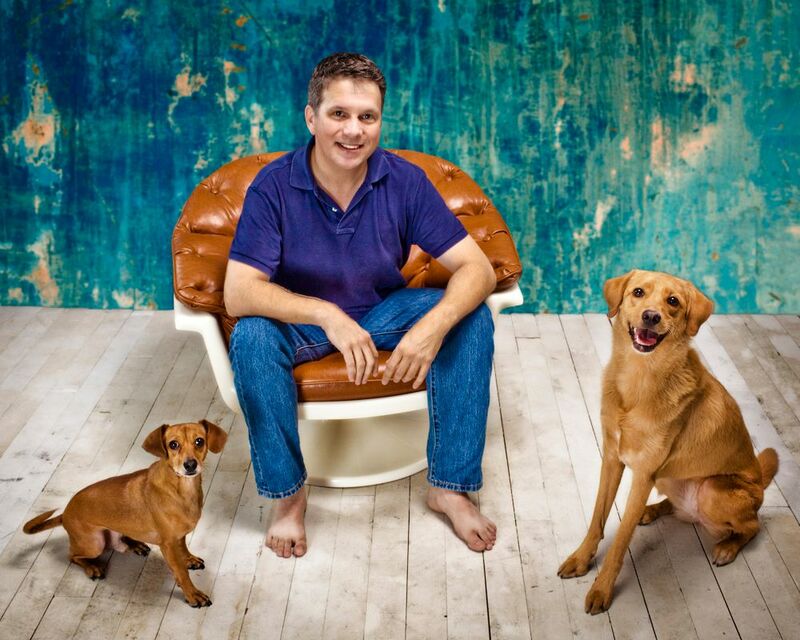 Feel free to post your pic on my Facebook page so you can get in on the action. Then you can still participate in the hopping fun, by visiting the links on the site. Thumbnails will appear on my blog, as well as all the others that join in, so you can see them everywhere you go--even your blog. Laugh a lot! Go ahead...Bark out loud, if you like! How do you join in? First, grab your camera and your dog. Take some cute pics of him playing with a football, wearing a jersey, or even napping with the football. 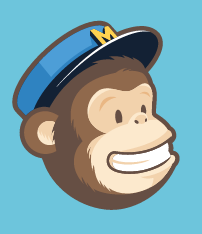 Post your favorites as wordless posts and collect the links. Now drop in here and click the "join in" link at the end of my post. It will ask for your link and prompt you to fill in a few minor details. It's super easy and very quick, so be sure to join us for some Bark out Loud Super Dog fun on Super Bowl Sunday, February 6th. One last tip; comments are good karma! Go ahead and grab the badge right now. It's on the page at this link. Place it in your sidebar to let everyone know you'll be participating. 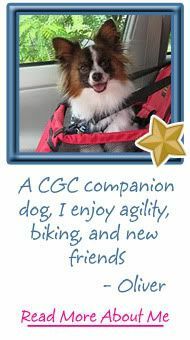 Encourage other bloggers to join in this unique opportunity to simply network over our silly dog pictures! 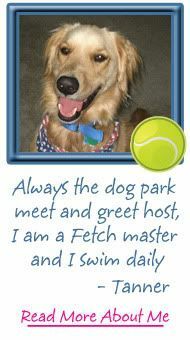 Hopefully, this will be something we can all laugh about at Blogpaws in August. "hop" from blog to blog seeing the same list on each blog. It's great fun and a wonderful way to build community. So, blogger or not, you can participate. 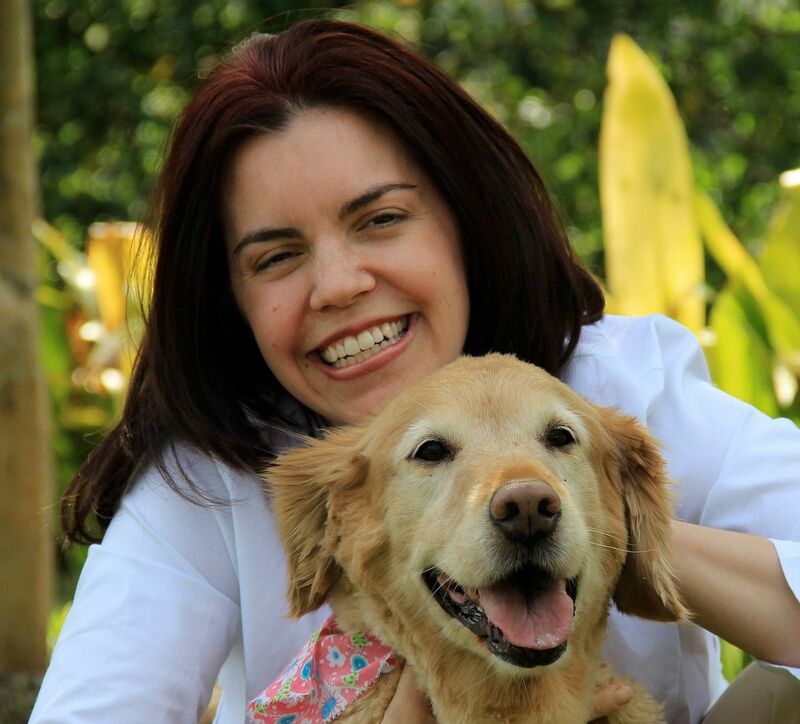 I'm hoping to see bloggers, dog lovers, and dog owners all here to visit on Super Bowl Sunday. Got questions about how it works? Leave a comment or drop me an email @ LetsAdoptaDogPark@gmail.com. Happy tails! What a great idea! Whenever the Super Bowl comes around I am always a lot more excited for Animal Planet's Puppy Bowl. :-) Thanks for putting all of this together! Hi Oskar! We stopped by your site yesterday and left a comment too. So nice to have pup pals on the Internet! Hi thank you for leaving a comment on my blog. I think my human had already Include us on the blog hop. Where number eight from Angus and Milo. Thank you for the visit today! We will definitely be there to join the fun! Doreen: Try this: Take a pic of your pup at your computer, with the NFL page open. Or another idea would be to use the sports page with football pictures showing. Have fun! Great idea Carrie. We're in!